After taking his money, the suspects set their dogs on the victim and he was severely injured. Police arrested two male suspects whom they believe are linked to an armed robbery and aggravated assault case opened at the Muldersdrift Police Station, reports Krugersdorp News. Constable Slindile Ntuli, spokesperson for the Muldersdrift Police, reported that a man was walking home recently when two men approached him. The suspects, aged 24 and 20, used a knife to intimidate him and took cash from him before setting their dogs on him. The dogs attacked the man and he was severely injured. Muldersdrift Police arrested the suspects shortly after the attack and they are set to appear in court soon. Before a dog attacks you, you should try to keep quiet, turn your head away to break eye contact, keep your arms still next to your body, slowly step backwards to safety and keep breathing. Do not threaten the dog in any way or make any sudden movements. Should you find yourself in the very unfortunate position of already having been bitten, remain as quiet as possible and if you have been pulled to the ground, curl up and pretend to be dead until help arrives – any movement will entice the dog(s) to start biting again. If you are bitten, it is important to remember that dog bites can take many different forms, and how one reacts when bitten depends on a variety of factors, for example, whether it was a household dog or an unfamiliar dog, and whether there was any owner negligence involved. You should see a doctor immediately after being bitten by a dog to prevent contracting diseases. One of the most deadly diseases is rabies. Rabies is found in more than 150 countries and territories. ER24 gives an overview of this widespread viral disease, which can be prevented with a vaccine. 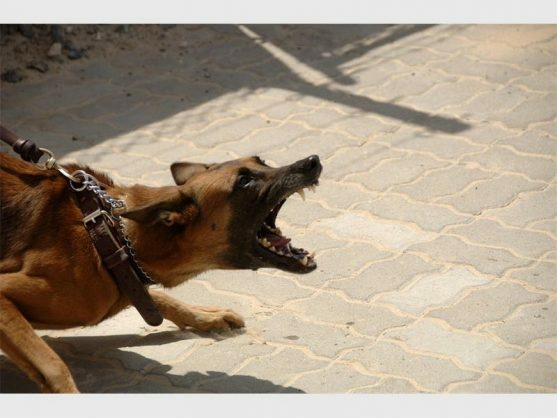 Furious rabies: People with this kind of rabies exhibit signs of hyperactivity, excitable behaviour, a fear of water and sometimes of drafts of fresh air. Death occurs after a few days due to cardio-respiratory arrest. Paralytic rabies: Muscles become paralysed, starting at the site of the bite or scratch. A coma develops, and eventually, death occurs. The paralytic form of rabies is often misdiagnosed, contributing to the under-reporting of the disease.